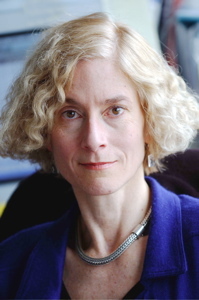 Philosophy News | Nussbaum and Huckabee? Really? Just saying those two names in the same sentence seems inordinately incongruous. But apparently the two are in a bit of a spat. It’s sort of like the old joke about the Pope and Raquel Welch in a boat. Part of what makes the joke funny is that the Pope and Raquel Welch would never get in a boat together. While I can see a politician like Mike Huckabee improperly using Nussbaum’s name to bolster some argument he’s making, it strikes me as odd that Nussbaum would engage at any level with Huckabee. In matters like these, academics generally rely upon their fan base to correct politically-driven misstatements or factual errors. If someone religious leader misquotes Richard Dawkins for example, the blogosphere lights up with corrections and invective. But in this case, Nussbaum corrected Huckabee herself and then went on to ask for an apology. We’ll see how this plays out.